The second film festival in Saudi Arabia held within seven years. The festival has been organized in Riyadh, despite the truth that Cinemas are strictly ban in Saudi Arabia. However, over 60 short movies are competing in this festival to be awarded for Golden Palm Tree Trophies. The categories of films included as drama, documentary and students films. This event will be attended by media and television celebrities around the Arabian world. As we observe that Saudi Arabia exercises forbidding form of Islam that does not allow promoting cinemas as entertainment venues. Therefore, screening will be shown in the art center at the Gulf coast city of Dammam. According to organizers of this festival that this festival will tell the world that there is a great talent in Saudi Arab in film and movie making industry despite of presence of restrictions by conservative culture. The head of festival’s jury emphasized that Saudi Arabia has beautiful culture to show the world, therefore, no need to take more time to show talent of Saudi Arabia in film making. That is why most film makers are young and under the age of 25years. The festival not just about screening but also will encourage workshops on scriptwriting, direction, music etc. To introduce and grow film screening culture a documentary "Grand Marriage" which is directed by Faisal al-Otaibi. The theme of documentary film is about a two week wedding ceremony conducts at Comoros Island. This festival also will give encouragement to Saudi Arabian females to join industry of film making. As the first female film maker from Saudi Arabia has been invited in the festival, but she did not attend the festival because she is not in Saudi Arabia. As per my opinion, I would say that this festival will bring great opportunities for film Industry in Saudi Arabia. 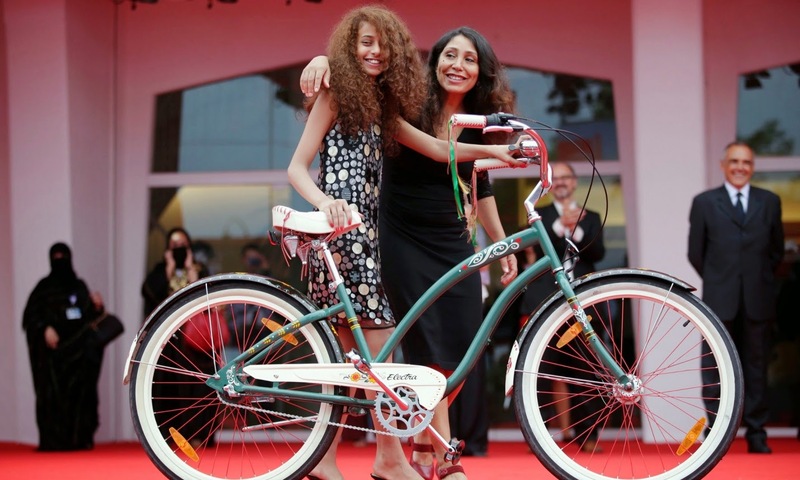 The Saudi director Haifaa al-Mansour (right) and actor Waad Mohammed on the red carpet at the Venice film festival in 2012. A Saudi man holds up his entrance ticket to see the Saudi comedy film Manahi in Jeddah in 2008.